Dr. Gioia Iezza is a pathologist from San Francisco, California. She has been practicing medicine for more than 20 years. Dr. Iezza is a board-certified pathologist in anatomic and clinical pathology and cytopathology. She graduated from the Sapienza University of Rome. She completed two residency stages in anatomic and clinical pathology at the Loma Linda University and the Cedars-Sinai Medical Center, followed by two fellowship stages in surgical pathology at the Cedars-Sinai Medical Center and in cytopathology at the University of Southern California. Dr. Iezza is a member of several medical organizations such as the College of American pathologists and the American Medical Association. She was also involved in teaching activities and held numerous lectures. Dr. Gioia Iezza has also contributed to the research field by publishing several studies that dealt with the following topics: the fibrous tumor of the retro pharynx, biopsy of the breast lesion, small cell carcinoma of the ovary, breast cancer, anaplastic thyroid carcinogenesis, lung cancer progression. 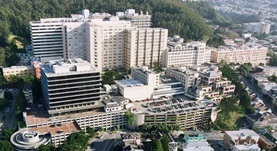 Dr. Iezza is currently affiliated with the UCSF Medical Center and the San Francisco General Hospital and Trauma Center. Dr. Gioia Iezza has contributed to 3 publications. Activating BRAF and PIK3CA Mutations Cooperate to Promote Anaplastic Thyroid Carcinogenesis. Charles, R. P.,Silva, J.,Iezza, G.,Phillips, W. A.,McMahon, M.; Mol. Cancer Res.. 2014 Apr 29. Mutationally Activated PIK3CAH1047R Cooperates with BRAFV600E to Promote Lung Cancer Progression. Trejo, C. L.,Green, S.,Marsh, V.,Collisson, E. A.,Iezza, G.,Phillips, W. A.,McMahon, M.; Cancer Res.. 2013 Sep 11. Mutationally activated BRAF(V600E) elicits papillary thyroid cancer in the adult mouse. Charles, R. P., Iezza, G., Amendola, E., Dankort, D., McMahon, M.; Cancer Res. 2011 Jun 1.